Kwangdong Pharmaceutical denied Thursday rumors of the company stopping sales for Contrav, a non-narcotic obesity treatment. Some medical newspapers here have reported that the company may withdraw from selling Contrav due to poor sales. “Gwangdong may pull the plug on Contrav, the company’s representative ethical drug (ETC) product, due to continued sluggishness sales,” one such paper reported citing industry sources. 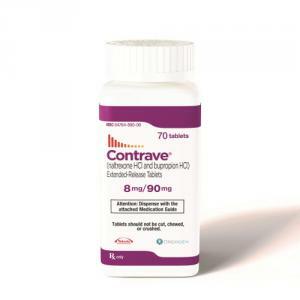 Unlike other anti-obesity drugs, Contrav is a non-narcotic drug that patients can use for long. The company promoted such an advantage, and achieved sales of 2 billion won ($1.7 million) in the second half of 2016 after it launched the product. The company doubled its sales staff then to make Contrav a blockbuster medication. The company planned to achieve sales of 10 billion won by 2017. Despite the company’s efforts, sales of Contrav remained at 3.2 billion won in 2017. The company partnered with Dong-A ST to co-promote the drug and increased sales in that year, but saw sales drop to 3 billion won in 2018. Many of the company’s employee in the ETC division have left the company amid rumors that Gwangdong may withdraw from the ETC business altogether, according to unconfirmed reports. Gwangdong officials said that the rumors were groundless and they are not planning to withdraw from selling Contrav or its ETC business.